The December 4 - 7 Surrey National Conference Weekend brings together 11 Western Conference 16 and under teams for 25 games. More than 150 athletes are travelling from Saskatchewan, Calgary, Edmonton, Saanich and Vancouver to compete at the Surrey Sport & Leisure Centre. This is the inaugural year of the National Championship League and the Surrey conference weekend will be the first 16 and under conference weekend in the history of the league. 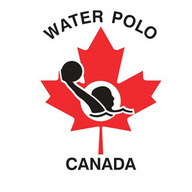 The National Championship League (NCL) is Water Polo Canada’s national domestic league. The NCL is made up of Canadian water polo clubs and features 106 teams playing over 750 games in 15 cities and six provinces. The NCL consists of four different age categories: 14 and under, 16 and under, 19 and under, and senior. Each of these categories has a male and female league and is split into Eastern (Ontario and Quebec) and Western conferences (BC, Alberta, Saskatchewan, and Manitoba). The NCL regular season runs from November to May with the NCL teams travelling around the country to play their games. At the end of the regular season, the teams with the best records qualify for the conference championships and the National Finals.